E.A. 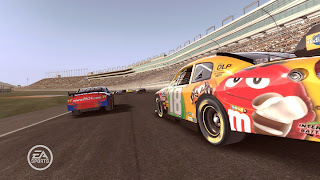 Games released the long awaited car racing game with prestigious reputation NASCAR 09 or Nascar 2009 the racing game of the year 2009. Already it has lots of good reviews. In the try mode for Nascar 09 you can play Career mode, "Sprint for the Cup." 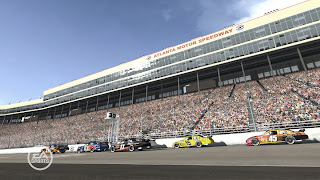 Your goal in Nascar 2009? You must build your reputation to become the next NASCAR Sprint Cup Series champion. Race at home and challenge the most experienced virtual drivers in the world. Advice about Nascar 2009: Download it!